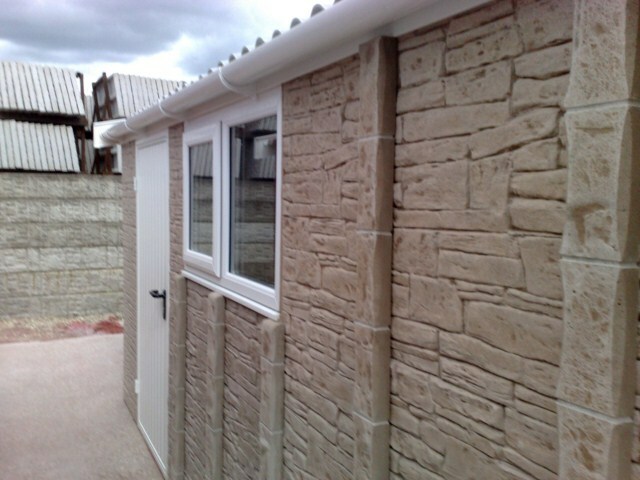 The Lidget Compton Pent Mansard design overcomes the barriers to having a tile effect concrete garage which meets with the criteria of being below 2.5m in height. Maintenance free PVC fascias, window and guttering are a standard feature making this an extremely well equipped garage. The addition of the Metrotile granular galvanised steel pantile profile roof tiles transforms our Pent range. Adding another dimension to the front elevation, the Mansard roof adds kerb appeal and in a choice of six colours. This is in addition to our unique C Section galvanised steel rafters for greater strength and rigidity. Galvanised steel one piece roof sheets means no joins, so no leaks and anti condensation treatment ensures best performance. The HÃrmann fully retractable, fully pre-framed door ensures perfect fitting every time. Our Bespoke Options allow you to personalise your building. 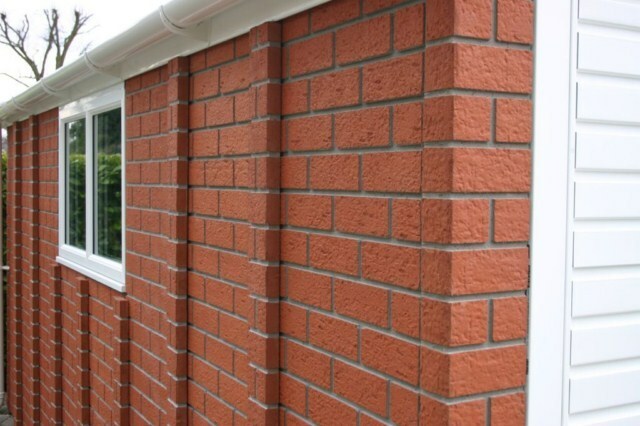 Spar, Brick or Stone effect panels, site applied Textured finish, Real Brick front posts and the full range of bespoke options ensure that you can choose the right building for your house, which will enhance its value, minimise insurance costs, and maximise kerb appeal. Upgrade the PVCu fascias and windows with the upmarket Decograin finish, look at our Mansard Premium Option package and save money. Make your garage the envy of your neighbours! 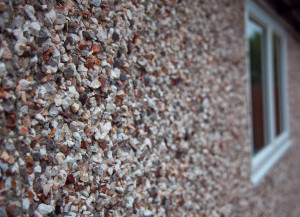 Canterbury spar (pebbledash) 8-11mm aggregate finish. 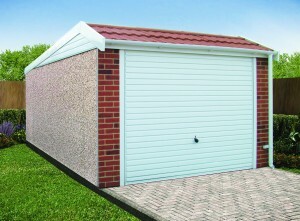 Typical colours are pink, white and brown which helps to provides a seamless finish between each garage panel. Using 21st century technology, the Lidget Compton patent brick and stonewall effect provides quality, value and choice. Hand finished render not dissimilar to a textured paint applied in just hours. 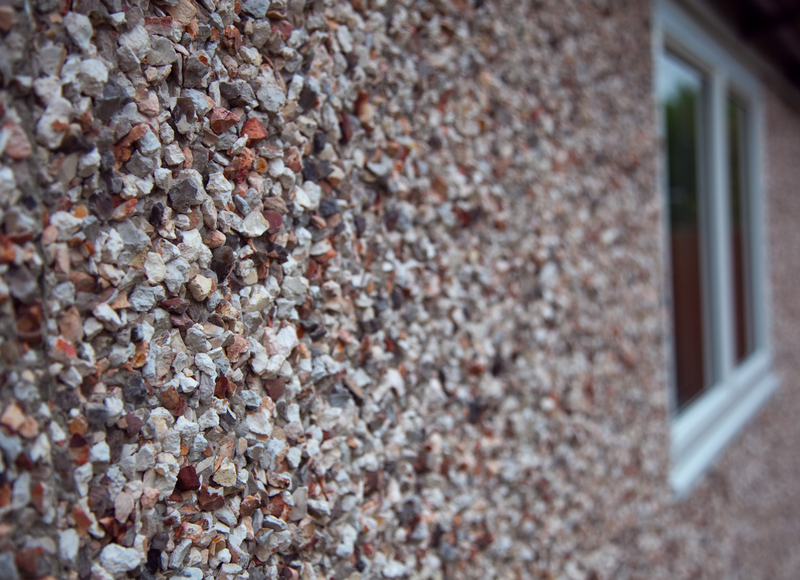 Available in four different colours, this finish is sure to compliment any property. Garaclad adds an additional layer to the walls of a concrete building and a unique style and finish. Market Leaders, Britain’s favourite concrete of garages.